Natural Aerodynamics focuses on the mathematics of any problem in air motion. This book discusses the general form of the law of fluid motion, relationship between pressure and wind, production of vortex filaments, and conduction of vorticity by viscosity. The flow at moderate Reynolds numbers, turbulence in a stably stratified fluid, natural exploitation of atmospheric thermals, and plumes in turbulent crosswinds are also elaborated. This text likewise considers the waves produced by thermals, transformation of thin layer clouds, method of small perturbations, and dangers of extra-polation. 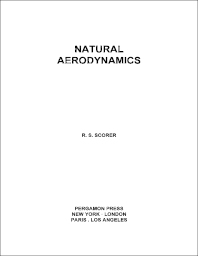 This publication is suitable for mathematicians and experimentalists in natural aerodynamical research, but is also valuable to aviators, engineers, geographers, and meteorologists.